I love going to the gym and honestly, there is nothing glam about it what so ever. I do not know how some women look amazing when they are working out. I am usually the hot mess with baby hair flying everywhere and sweat dripping from all parts of me, not attractive. But I don’t think you need to look glam while you are working out because your effort should go into what exercise you are doing while looking after your body. As a skincare consultant, I do believe even if you are not making the effort to look glam you should still be looking after your body, hair and skin while at the gym. Here are my top health & beauty tips for looking after yourself at the gym. Staying hydrated is rule number one. We should be drinking at least 2L of water a day and this should be increased on the days we work out. The key is to make sure you are drinking plenty of water before, during and after your session. Sweat is water being released from the body, so drinking water at the gym will prevent you from getting dehydrated, ensuring that you don’t get a headache and your skin stays hydrated and revitalised. This is essentially important if you like to sit in a steam room and sauna, as you are sweating excessively and the water you are losing needs to be replaced straight away. So remember to take another bottle of water with you for your spa visit. I have spoken about how much I use and love coconut oil here. I have a tub just for my gym bag. Firstly, coconut oil is rich in Vitamin E so it is great to include in your skincare. I use this product as my moisturiser after I have showered at the gym, for my face and body. Coconut oil helps to nourish dry skin and a keep it hydrated. I also use coconut oil as a hair mask while in the sauna/steam room. The coconut oil acts like a barrier for my hair to prevent it from any damage or drying effects from the heat in these rooms. Coconut oil is great for healthy hair re-growth, strengthening the hair and nourishing the scalp, leaving your hair healthy and shiny. Just remember to wash this out with two shampoo to prevent greasy hair. Eucalyptus Essential Oil is great to help clear out sinuses when I am in the steam room. I apply and small amount to my temples and nose and take deep breaths when I am sitting in the steam room. Also, it is great to be applied to the water chamber in the steam room (providing everyone else in there is happy for you to do this) this way the eucalyptus is in the steam already and is great from clearing your nasal passage, especially if you have a cold. I also apply this, a single drop into my balm with a little coconut oil and smooth it on any part of my body that has any irritation, like a blemish or sensitive skin etc. This works as an antibacterial and antiseptic while in the hot rooms, so when my pores are open there is no irritation. This soothes my skin and clears any skin problems that I have. It is alway important that you use the showers that are provided by the gym in between activities, for example, after my gym session or class I change into my swimsuit and go into the spa, I will then have a quick cool rinse before going into the steam room. After one room I will cool shower off again then go on to the next, including before and after swimming. No one wants a sweaty so and so getting into a clean pool. I always exfoliate after my gym session. As I have been sweating and subjected my body to different thermic shocks I gently scrub my face and body to remove any dirt and dead skin, this promotes healthier looking skin. Exfoliating after the steam/sauna is great from renewing skin, especially scarred and uneven skin as it promotes a healthy and radiant skin. As I mentioned above I moisturise my face and body with coconut oil after my shower to keep it smooth, soft and hydrated. This is so important as it will prevent your skin from becoming dry and flaky. Do you have any health and beauty tips that work for you at the gym? Please let me know your tips. *disclaimer: I am not a doctor or dermatologist. I am a trained skincare advisor. If you have any health concerns you should see you GP for more advice. I complete relate with the sweaty, baby haired mess haha! You've got some great tips here- have to try the coconut oil one soon! I love the idea of bringing coconut oil to the gym! I had never thought of that before but it's a great idea! Thanks for the post! I love the sound of the Eucalyptus essential oil! 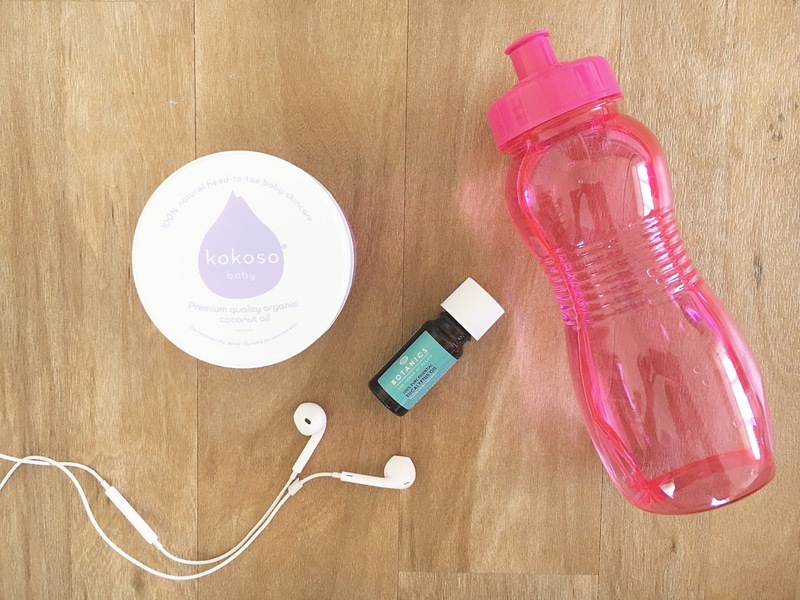 I’m a gym fanatic but I never carry oils, I should now! Great post and some excellent pro tips. Have not tried the coconut oil trick so will be giving this a go.